However, the Blue Tigers went down two places in the AFC rankings. 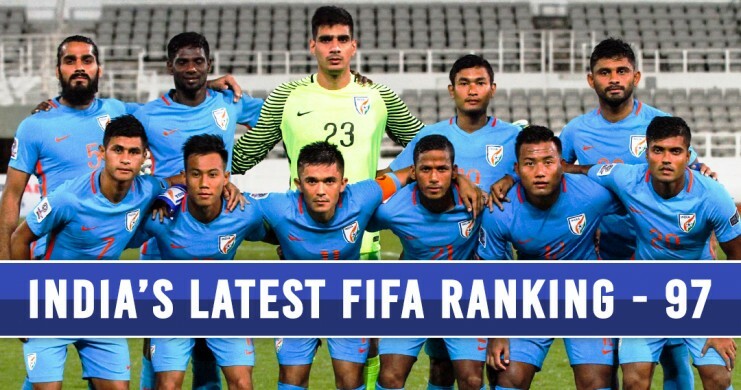 The Indian national team jumped two places to be positioned at 97 for the month of April in the latest FIFA rankings which released on Thursday. The Indian National Team has seen a rapid progress in the recent months as they jumped to 99 from 102 in the previous FIFA ranking. The recent development comes after the Blue Tigers suffered a 2-1 defeat at the hands of the Kyrgyz Republic in the AFC Asian Cup Qualifier played at Bishkek earlier last month. However, Kyrgyz Republic made giant strides up the leaderboard as they moved up by a mammoth 40 places to occupy 75th position, thanks to their 5-1 hammering of Myanmar followed by a victory against India within the span of a week. Despite the defeat which ended India’s 13-game unbeaten run, they managed to add 15.41 points to their kitty. 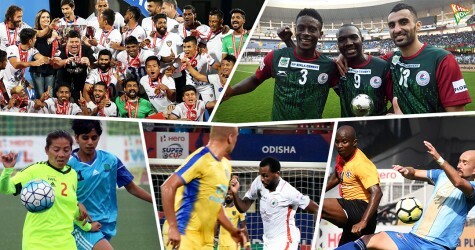 However, the latest rankings see them drop down to 15th position among the Asian Football Confederation (AFC) nations from 13th position a month ago. Is the hate meted out to Stephen Constantine justified? Without any surprise, Iran(36th) followed by Australia(40th) and Japan(60th) continue to rule the roast in AFC rankings although they lost significant positions in the span of a month. Besides these heavyweights, Korea Republic(61th), Saudi Arabia(70th) and Syria (76th) are the other three who would be on their flight to Russia for the FIFA World Cup 2018 this summer. World champions Germany, meanwhile, continue to dominate the FIFA World rankings with 1533 points and Brazil sit undisturbed at the 2nd position. However, Belgium has moved up by 2 positions to secure the 3rd position displacing European champions Portugal.